ISC spine care encompasses a 3 phase approach. After performing the necessary diagnostic testing, the treatment goals are to quickly decrease pain, Increase ROM and stabilize the spine with exercises in the clinic or at home. Extensive stability problems or chronic stabilization weakness may be referred to our in-house Physical Therapy Group. 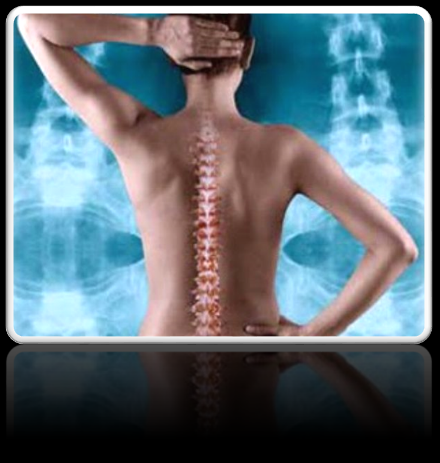 SDD is a spinal disc condition specific treatment. Disc Decompression is the only way to treat disc inflammation, bulge or herniation conservatively. ISC prides itself in keeping patients from surgery by treating the disc condition successfully. Chiropractic manipulation aggravates the condition spinal disc symptoms 75% of the time. Decompression should always play a role in managing a disc related condition. The keys to ISC’s Sports Care System is our ability to provide active inflammation control with GameReady, CryoCompression and Kinesio Taping as well as our bio-mechanics detection and correction processes. Correcting the bio-mechanical flaw while treating the injury, assures a quick return to activity. Graston Technique is an innovative form of instrument-assisted soft tissue therapy that effectively breaks down scar tissue and soft tissue restrictions. The technique utilizes specially designed stainless steel instruments to specifically detect and effectively treat areas exhibiting soft tissue injury and or acute and chronic inflammation. What this means for the patient is decreased overall treatment time, reductions in use of anti-inflammatory medications, and resolution of chronic conditions thought to be permanent. Static examination techniques are important. Functional examination testing is priceless. Gait Analysis is used to help diagnose abnormal bio-mechanics or simply detect flaws in someone’s gait that can be causing pain syndromes. ISC Progressive Wellness Program is designed to help you start or continue a path of strength, health and overall wellness. You can choose from an extensive list of services or have a complete program specifically designed just for you.